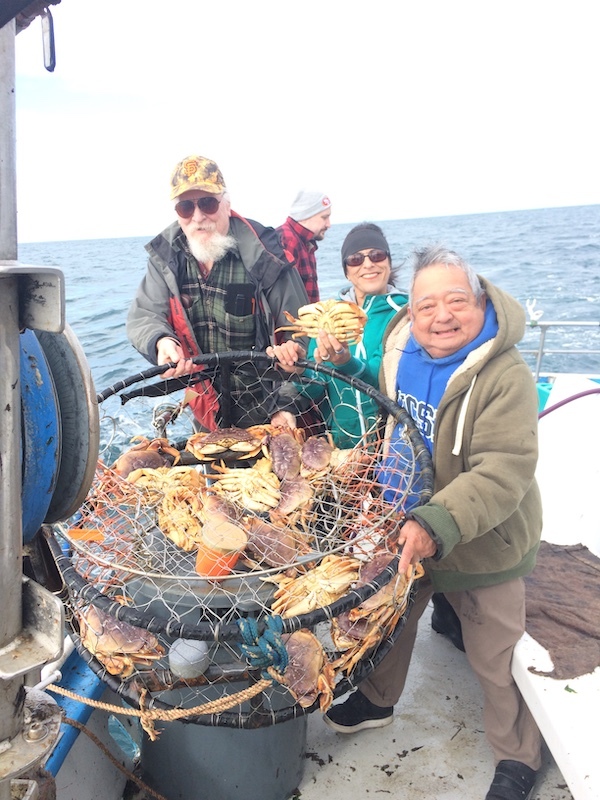 Fish Report - Crab Only Trip Off of Pillar Point. Crab Only Trip Off of Pillar Point. 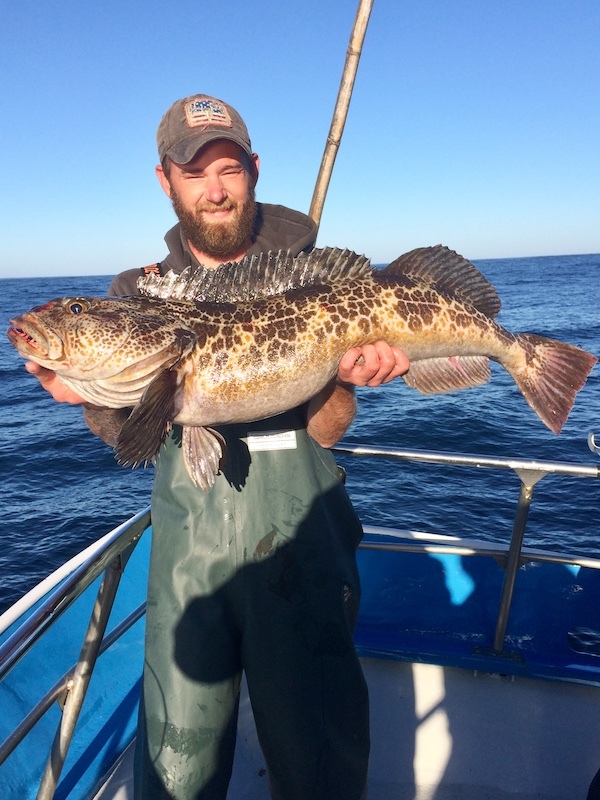 Huli Cat out of Half Moon Bay went out on a crab only trip off of Pillar Point. 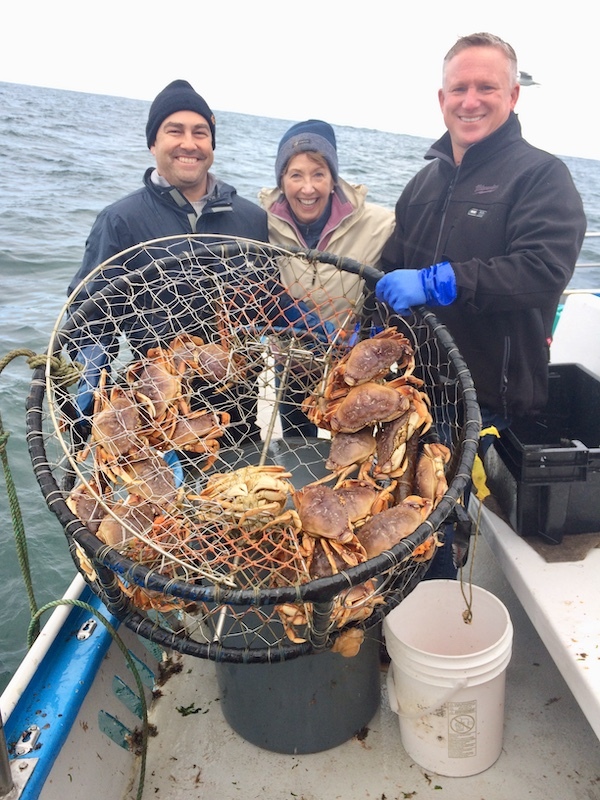 Tyler Black from San Jose, ILona Lindauer from Los Altos and Jeff Davis from San Jose with a pot pulled up with 28 Crab. 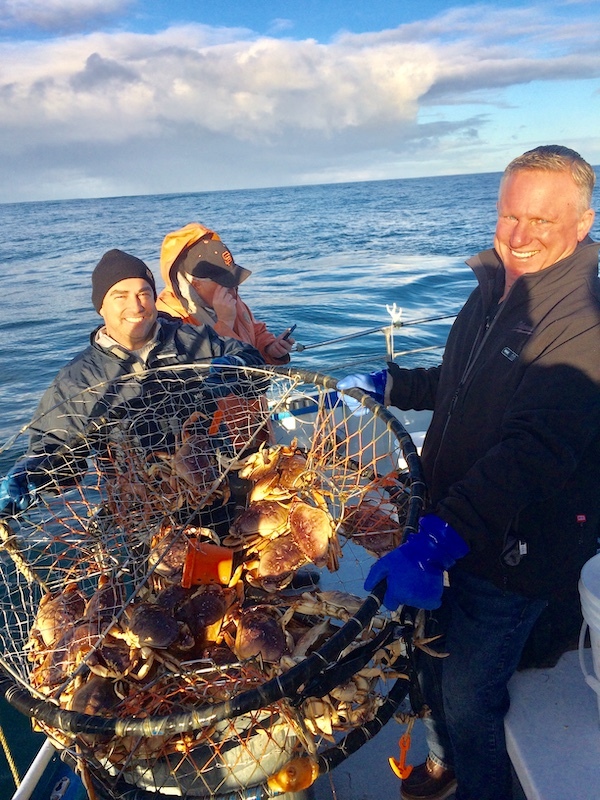 Chris Pandolfo from Menlo Park and Jeff Davis from San Jose holding up a pot with 22 crab. Limits for 12 passengers for the day. Ocean conditions were ideal, with a slight breeze and small swell.